Why travel with Passports Tatted? Passports Tatted was initially created to inspire men of color to travel internationally. 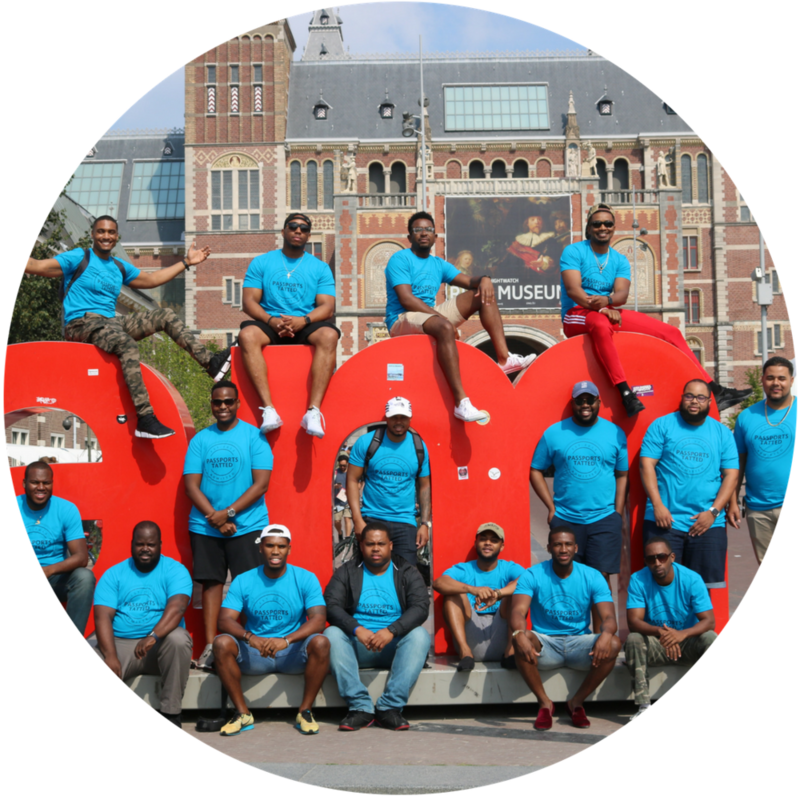 Passports Tatted has developed a community of guys who love to travel and believes traveling not only exposes you to different cultures, cuisines, and climates, but also provides opportunities to see the world, bond, and create lifelong memories. In 2018, Passports Tatted created Passports Tatted Too to incorporate and inspire women to travel internationally. We provide group trips throughout the year to inspire others to travel abroad, create a travel community, and gain new life experiences. You are responsible for your own international flight to the destination. Passports Tatted plans the accommodations and excursions where we set up payment plans for your individual portion. We always have a great time (Promo video above). We got drip for sale! Over the years, many have asked and now the time is here...we now have T-shirts for sale through our Passport Campaign for the year!! Each year, we raise money to provide passports to first time applicants. Please join our Passport Campaign and help fund a passport by purchasing a T-shirt. Whether you buy a T-shirt, repost this campaign on your social media, or donate to the cause; it will be greatly appreciated. Be sure to follow us on Instagram at @PassportsTatted and tag #PassportsTatted to your travel photo if you would like to be featured on our Instagram account.